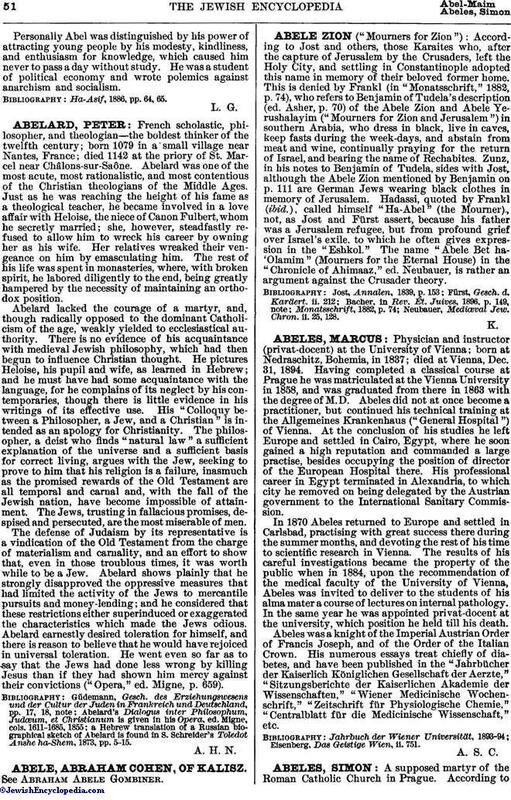 "The Torah did not forbid taking interest from non-Jews, for commerce entails such; but that the passage can not be construed as favoring usury may be seen from the fact that, according to the Talmud, viands otherwise permitted to Jews may not be eaten if they excite disgust. Thus, continued Abel, how much less is it permissible to do things which excite moral disgust, such as usury and the like, when the welfare of our soul must be of at least as much importance to us as the health of our body?" Personally Abel was distinguished by his power of attracting young people by his modesty, kindliness, and enthusiasm for knowledge, which caused him never to pass a day without study. He was a student of political economy and wrote polemics against anarchism and socialism. 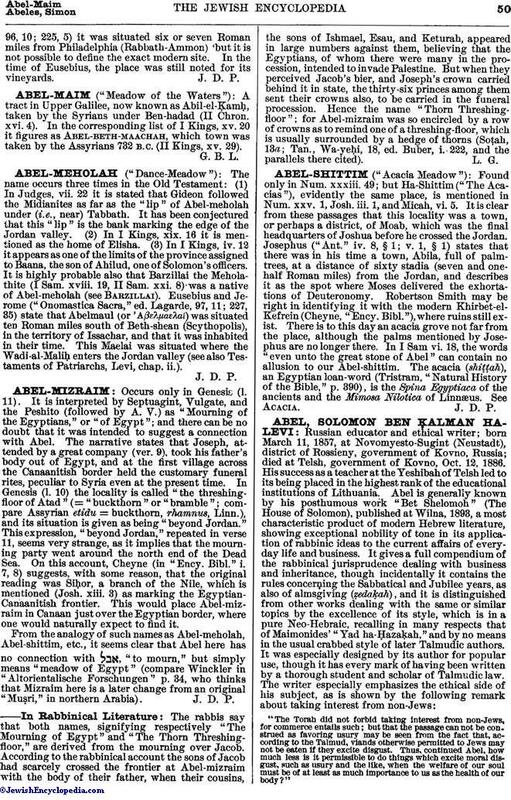 Ha-Asif, 1886, pp. 64, 65.